Super kids is a taekwondo program designed for kids between the ages of 4-6 years old. Super kids classes are designed and taught so that children can learn at their own pace. Kids have the opportunity to take classes with peers as well as older adults. They also have the chance to train in classes with other students at their belt rank along higher ranks in other classes. 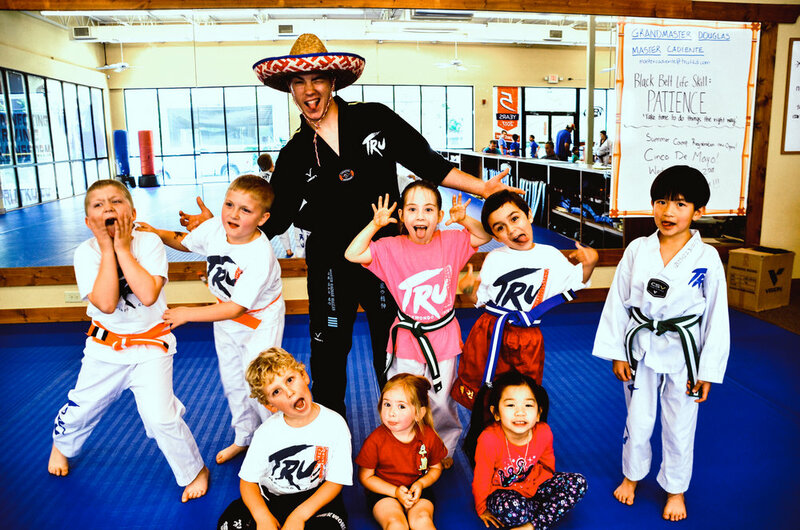 TRU Taekwondo it is not just athletics, or kicking and punching. It is a martial art that seeks to develop character and cultivate both the mind and the body of the practitioner. The tenets of taekwondo are: courtesy, integrity, perseverance, self-control, and indomitable Spirit. By focusing on these virtues we try to develop self-esteem, kindness, confidence, and spirit in all our students.